BE PART OF THIS FOR FREE – read to the bottom! The world is a small place isn’t it? Well not really and especially not really if you are sat in school as a student. When I was a wee boy the thought of working with students from another school, over a mile away was terrifying, that was like the other side of the universe. However, the world that I grew up in was very different to the world that students now find themselves in. The use of the internet, ubiquitous on our connected devices means that geography is rarely an inhibition to communication. Increasingly the idea of growing up in your home town, getting a job and living out your days locally are becoming a thing of the past. Economic prosperity is linked to a world of challenges and opportunities. We hear the regular cry from business leaders that the younger generations are leaving school without the right skills to prepare them for a world of work. The education system is failing them, they are unmotivated and have no idea what to expect in a world of employment. They lack the ability to think creatively when faced with challenges, they almost expect to be spoon fed what to do. To be fair to schools, the pressure of getting students through exams, making sure they are drilled to answer those sorts of questions in those sorts of ways, dominates our education system for the simple reason that their OfSTED inspection result rests on it. Can you blame them? What I am pleased to report to any reader that doesn’t get into school very much in this area is that schools are not ignoring the other side of what is important in developing their students; they know that creativity, collaboration skills and the ability to reflect on their work and refine it are just as important…but they often do play second fiddle to the exam focus. Inspire2Learn’s key aims are to raise aspirations and support schools in inspiring learners to achieve more. Any reader of this blog will see the STEM work that is ongoing both in the centre and supported into classrooms in partnership with STEMnet, but we also wanted to tackle the idea of collaborative and creative working; the challenge days were born. The key idea is that any groups of students can access the task and respond to it in a way that is both novel and experimental. The role of the teacher is to help, not lead. Following the 22nd October event a teacher asked me if she could have the task in advance next time to prepare resources. I told her no. By all means a teacher might plan in advance to respond to a task in a particular way: animation, green screen movie or whatever, but the way that the day unfolds should be all about the students. The basic format is simple. A class teacher tells me that they would like to take part. I have their email address. At 9am (local to them) they receive an email with a task. The children have 6 hours to complete the task and hand some work in which then gets put on the blog. Alongside this I try to visit a few schools during the day (tricky when they are 5000 miles away!) and upload images of what each are doing. I also encourage the dialogue that occurs on the comments section of the blog, it was certainly something that caused a lot of enthusiasm and excitement during the last event in October. As we progress from one event to the next we also experiment with different ways to facilitate communication between classes in a motivational but controlled way. The task is simple each time. It has to be. We have had children from the ages of 4 – 12 taking part in the days so far but I am aware that that will be extended to some older students for the next event. The task will always be open ended and designed to provoke a discussion. Some classes work at a class level, some split into groups and produce several distinct pieces of work. The planning, sharing of creative ideas to address the task is a key element to the day. It gives the students to opportunity to voice their opinions in a context where there are no right answers. It also puts the students in the situation where they have to make compromises; compromises on which idea in the group will be acted upon and what can actually be achieved in a short space of time (six hours is not long!!!). Once the ideas are agreed and a plan is made the students must then spend time creating their response. In the two days so far we have had videos, posters, radio broadcasts, songs, computer games, powerpoints, drawings, construction models, Minecraft creations and more I’ve probably forgotten. The process focusses on achieving the goal that they set out to do and every school has reported back to me that they have rarely seen their students so focussed on tasks. One Headteacher told me that her Y6 class (11 year olds) could be seen all over the school during the day in little groups huddled around an iPad. Rarely did they have an adult supervising them but it was abundantly clear that every single one of them was on task and determined to get it right. Does this not mirror the way that they will be expected to work when they are employed in the next ten years? Using their initiative to work collaboratively to a set time scale to accomplish a given task? They feel that taking a day away from ‘the curriculum’ and instead being led by the students to work in ways that suit them has revealed strategies and ways of working that have then had an impact on their subsequent classroom practice. One teacher told me that they didn’t realise that the children were able to work so independently with so little input from them. They had spent the first half hour of the day feeling that nothing was going to be achieved and she was impatient to step in and take charge of the way the students would work….however it became clear very quickly that the students were able to organise themselves. More than that, they were also able to support each other really effectively when one had a problem. She observed that she her role during the day was basically Paul Hollywood. Paul Hollywood – help or hindrance? For our international readers I will explain. 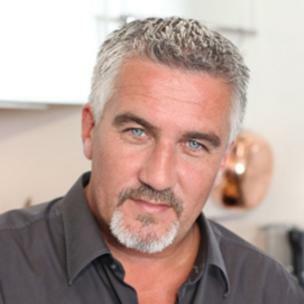 Paul Hollywood is a famous baker and judge on a TV show called the Great British Bake Off. Throughout the show he wanders around the contestants who are busy with a baking challenge. He often stops and asks them questions about what they are doing. In the context of the TV show this is probably quite off-putting for the contestant but for the teacher, asking the children what they are doing and why, it focusses the child’s mind onto the task, asks them to reflect on both the process and the intended outcome. Reflective is a key habit of mind for effective learners. The second benefit for teachers is that it allows them to explore ways of working that they had not tried before. One school for example had just set up a set of iPads. The July challenge was the first day that the children used them and the class focussed their attention on a specific app (Explain Everything). By the end of the day they were able to use the device for gathering ideas, sorting and classifying those ideas, creating simple posters and also simple animations. That has given them a fabulous set of classroom practices that can be utilised across a huge range of contexts following the day. It is telling that the first day involved 10 classes, the second involved over 20. Everybody who took part in the first day also signed up for the second day.